It’s about time we discussed Valentine’s Day! Grab your chocolate. Honestly, I don’t care that this is a holiday designed to promote consumerism and concoct romance where perhaps none exists. I’m still enamored with it, and my unapologetically girly side is infatuated with every pink and red cookie recipe and DIY craft on Pinterest. This year, I wanted to make something I could give as little gifts. 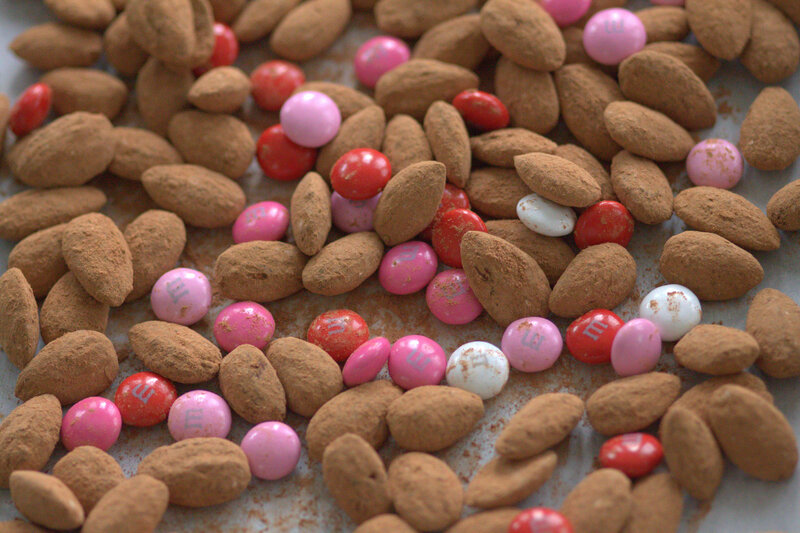 At Christmas I had wanted to make something homemade for everyone at the office, and my big idea was to make some cocoa dusted almonds. 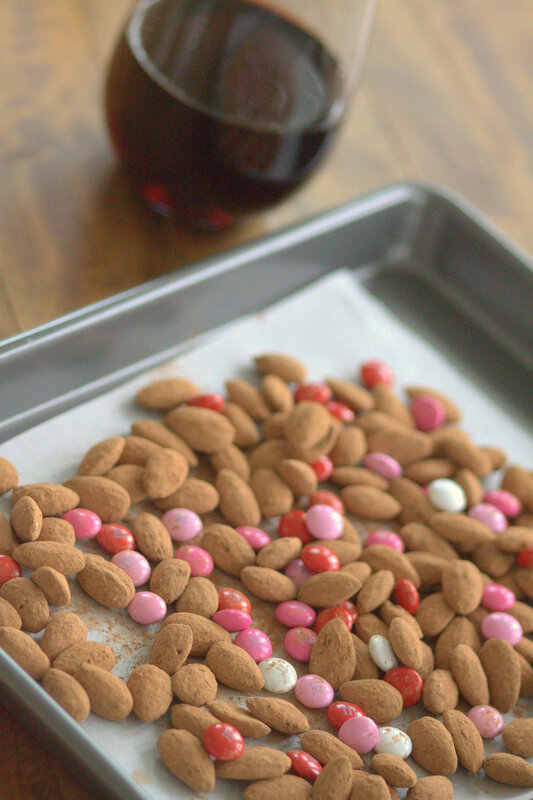 As I often do, I waited until the last minute, then winged it on a recipe I Googled only to end up with an entire pan of sticky, ugly almonds with tiny pieces of aluminum foil stuck to them. They didn’t taste terrible, but I couldn’t be sure they were even safe to eat… unless you’re not worried about eating tiny pieces of aluminum foil. So, I phoned it in – got everyone gift cards and temporarily gave up on the almonds. 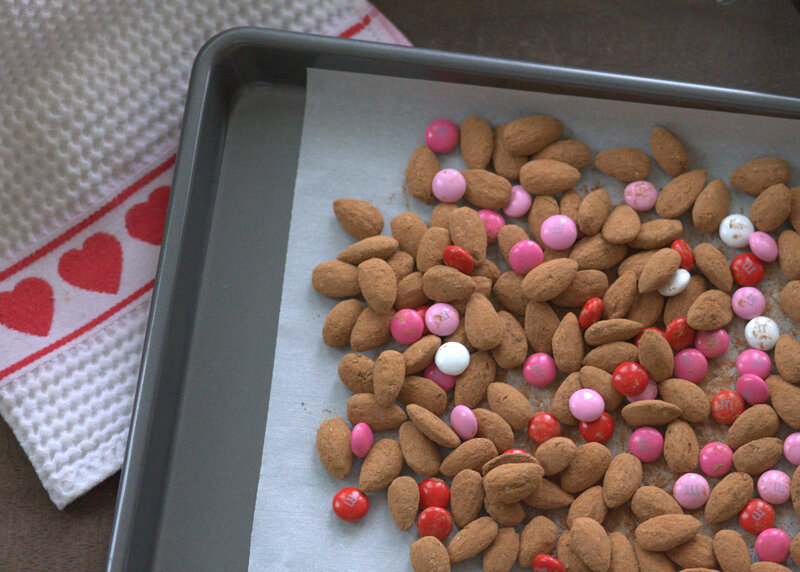 BUT, I still wanted to master this, and I thought Valentine’s Day would be a good opportunity to try again and bring everyone a little snack. But everyone at the office is on a MAJOR health kick right now, so I don’t want to ruin everyone’s day with something that’s terrible for them to eat. Healthy? I’m gonna give it a check. 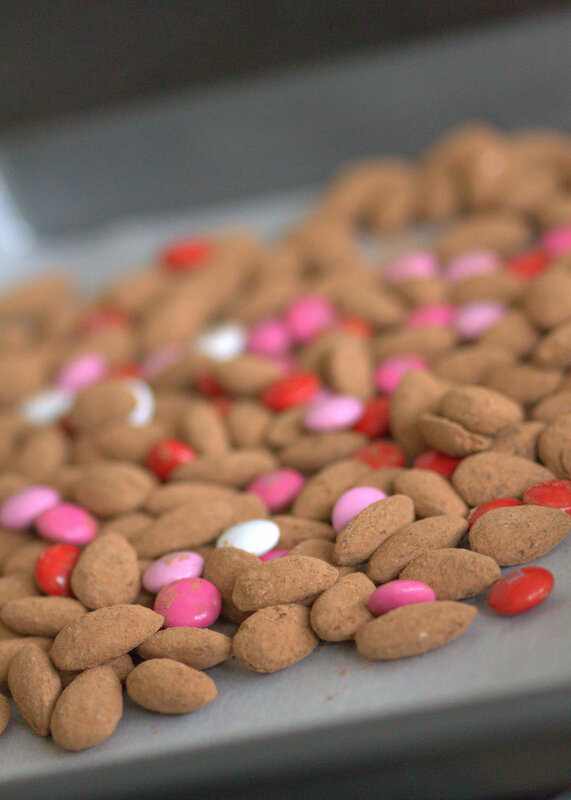 A little fiber, a little protein, healthy fats, antioxidants… aaaaand a little bit of something sweet from the candy. I think we’re ok. These were extraordinarily easy to make. 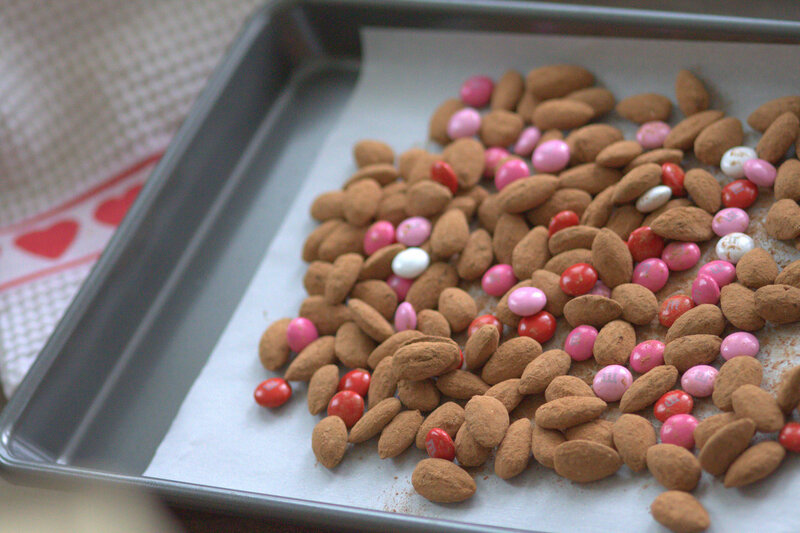 The almonds toast in the oven for 10 minutes, and then after cooling completely they are tossed with cocoa powder, powdered sugar, cinnamon, and a pinch of cayenne pepper. What I’m saying is… I really liked them, and I think I fully bounced back from my initial attempt/Pinterest fail. Since I was lucky enough to get to taste these I can say they are yummy! May have to make these ASAP! I tasted them and they were great. It’s always risky to mess with a classic and nothing is more classic than hot chocolate. But applying it to almonds was a huge success. Great job! Ok ~ these I have to make…..struggling with healthy eating choices right now, and feeling waves of panic now and then when the sun is shining and the temps are warmer (bringing on thoughts of spring clothes ~ will I have to buy a new wardrobe?!)! These may just save (my!) day 🙂 Thank you!! Yes! I have to keep making them because we keep going through them like crazy!